Almost every week, somewhere in the US, there is a report of a police-involved “use of force” incident. There’s usually video captured from someone’s cell phone. And it almost never looks good. While this is a small percentage of the hundreds of thousands of experiences and interactions the general public typically has with their local police department, these, unfortunately, are the ones that seem to stick in the public’s consciousness. But how can this be changed? Document and learn from their actions. Justice Clearinghouse Editors (JCH): Why don’t we start with a little bit of history about your organization PERF and its role and engagement in addressing the topic of the use of force. Tom Wilson: PERF, the Police Executive Research Forum, was created in the 1970s. It’s a membership organization that focuses on progress and policing. We do a lot of work looking at research. We do a lot of work on management services providing some type of service to our member organizations. At the same time, we provide training in various leadership opportunities for police leaders across the country. Recently, our work in use of force was generated by what we saw in the news, starting in Ferguson and then moving on to Staten Island. Essentially, ever since then, we have seen videos and discussions about police use of force in the media. Our members thought it was important that we take a look at these issues and that started the ball rolling for us here as an organization focusing on reform, if you will, on use of force issues. JCH: So, let’s look at some basic terminology. 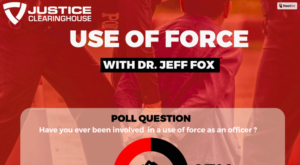 When we say “use of force” what does that mean? What are you including in this range of actions? Tom: Use of force is a broad term. It could include everything from hand or leg techniques, to getting somebody to comply and bring them into custody. It includes the use of a deadly weapon. It would include the lethal weapons. It would include a weapon of opportunity. At the same time, we believe that anytime someone appears injured, complaints of injury, or shows a sign of injury – that too should be looked at as a use of force. When we encourage agencies, and most agencies around the country, are doing a good job of this, of documenting use of force. But the definitions of what they document varies. 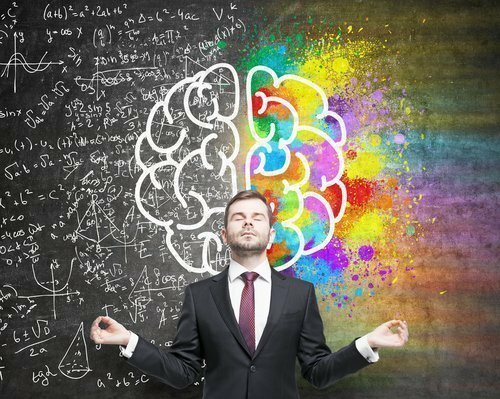 So, it’s our belief that any time that we use any type of technique whether it is an open-hand, a strike, or any type of pull, that we should document that type of action. 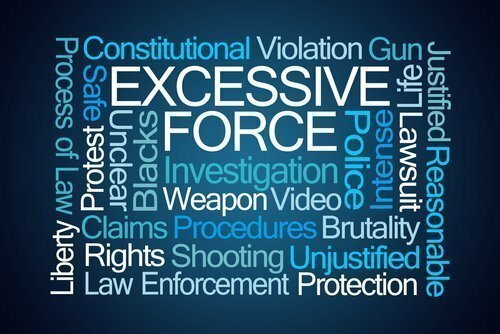 Recently, our focus has been on the more significant use of force, and that being lethal use of force. JCH: What do you think is the biggest misunderstanding police officers might have regarding the use of force? Tom: There are three areas that have come up repeatedly as we’ve looked at this issue. First is de-escalation, and what is de-escalation? Depending on who you ask, we get various definitions. Traditionally, when we thought of de-escalation in policing, it was referring to police reducing the amount of force that we were applying. So, for example, if a subject is resisting arrest or fighting back, and the officer is using a tool – say, for example, an asp – and the individual changes and complies with your directions, then you deescalate your use of force. That, traditionally, has been how we talked about and discuss de-escalation. But today we’re looking at it very differently. Today, we’re talking about de-escalation of the entire incident, and that means from the moment the officer comes on scene – how they look at the incident and how they try to diffuse that situation. Whether you’re dealing with someone who’s in crisis – and that crisis could be mental health, it could be drug or alcohol related. It could be situationally related. But if the individual is in crisis, the temperature of that incident is high, and when we say deescalate, we’re talking about trying to bring the temperature down and resolve that situation without having to use force. Another thing that we see is the discussion of coming in at the opposite of where the person is. 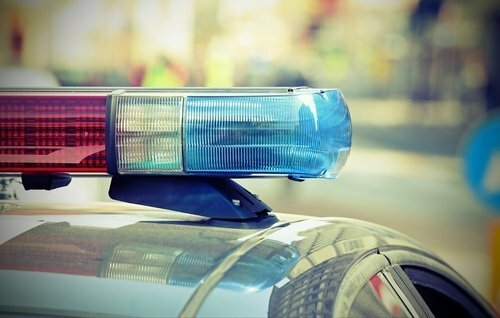 In other words, if an individual is very excited, or amped up, the officer can come in at a lower pace, talk to them in a calmer voice – that’s another technique. So, there’s been some confusion when it comes to the use of force. Some fear that if we don’t come in with that command presence, if we don’t bark orders, and tell people what’s expected of them, then we’re not going to get the compliance that we need. But what we’re finding is when we are dealing with someone who’s in crisis and we yell or we bark orders at them, they’re not really processing it very well. So, we’ve got to think about how we come in to that situation. And I think on a broader sense, we see the issue of accountability. 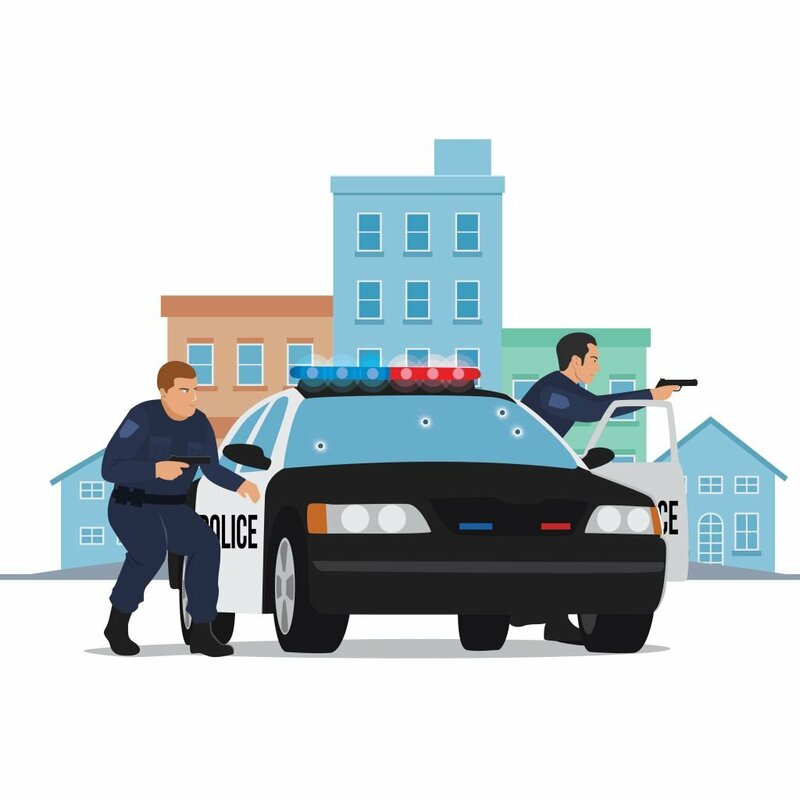 Police departments across the United States are looking at use of force situations, and especially the more serious, like an officer involved in a shooting situation. There’s two ways that’s looked at. One is the criminal side, where Graham v. Connor applies; where The Supreme Court focuses on objective reasonableness. But the other side of that is how the police or sheriff agency looks at it from administrative standpoint, and how they conduct the review. But we need to make sure that we’re not rubber-stamping things, just because something appears to be in policy. We’d be better taking a more critical look in ensuring that our training is up to par, that our policies are where they need it to be, and that our officers’ actions represent those things that we, as an agency, are putting forward. Where we see the most confusion is around de-escalation. What do we mean by coming in a little bit lower? What do we mean by diffusing the situation? And then, accountability. How do we hold officers accountable for the misuse of force? JCH: You have had the ability to work with and observe a lot of agencies, as well as thousands of officers over the years. How have you seen law enforcement agencies’ attitudes and beliefs about training and preparing officers for use of force change or evolve over the last decade? Tom: We’ve seen a lot of change. But I tell you, we believe that it’s a slow transition, and it will continue to be a slow transition. There are 18,000 police departments across the United States. How use of force and community mistrust impacts police agencies varies dramatically, depending on the communities that you serve. We see some police agencies that have implemented a number of changes. They’ve had drastic improvements in their relationship with their community, with transparency, and how do they share information with the public. For example, agencies such as Camden in Camden, New Jersey. You see an actual cultural shift in the thinking of the officers. You look at Fairfax County, Virginia: how they release information, and how they share information about, not just critical police incidents, but all matters. Historically, if a significant event happened, a lot of police agencies would go to the media and say, “It’s under investigation and we can’t reveal any more information.” But you’re seeing agencies across the US change that culture, look at it differently, and try to provide as much information as they can. And a lot of this ties back to use of force issues. JCH: When a use of force situation occurs, there’s often that feeling of distrust that happens between the public and the officers who serve and protect them. In your experience, was the distrust already there between certain parts of the public and the officers, and the incident simply just brought that mistrust, bring it to light and magnified it? And how does that police department begin to rebuild that trust with its community? Tom: I certainly believe that for many police agencies, in some of the communities that they serve, and I would say especially in areas that are economically challenged, that have high minority population, some of these communities had distrust in the police for a long period of time. I’m not sure historically that we’ve always done a good job of trying to improve and build upon those relationships. Sometimes we get caught up in fighting crimes and chasing dots on a map, versus really thinking about our relationship with the community. If you go back to the Peel principles, it’s the community: that’s what we’re there to do, that’s who we’re there to serve. So, I think we’re seeing agencies today do a lot better job of providing that. I think body cameras, and videos that you see – really on a weekly basis almost these days, where you’ll see a police incident caught on video. You know, force is ugly. If you have to use force, and an officer has to use force to gain compliance and make an arrest, it almost always looks ugly. And oftentimes, the community doesn’t understand why police would do what they do. So, again, it’s on us as law enforcement to explain. Why did we do this? Why did our officers take these actions? A lot of this mistrust is because of the unknown. If we explain what we do, if we provide information, if we don’t hide behind that curtain called ‘It’s under investigation’, but do our best to provide information as quickly as possible. Certainly, there’s things we can’t reveal; certainly, there’s going to be investigative information that an agency can’t share. But be forthright, tell them that this is what’s going on, tell them why you can’t reveal information. If you think about police policy, agencies across the US are providing policy right on their website. So, someone calls up and says, “I don’t understand why this action took place,” you’re able to say, “Hey listen, if you go to our police policy, I can walk you through it,” and you can explain it. So, they’re sharing even police policy and their procedures on their website. Police agencies are doing a better job of using social media — whether it’s Facebook or Twitter or whatever — to share, put information out to the public, make them aware of what the agencies’ doing and how people can get more information. So, I think you’re absolutely right. I think there’s no doubt that some communities have had a long history of mistrust, and it’s certainly our obligation and policing to try to address those matters, to try to build those relationships, and use the tools that we have to try to change and remedy some of those issues. JCH: Your position with PERF has allowed you to see how a lot of agencies address the topic of use of force – even ones abroad. What are some anecdotes or ideas that have really struck you in terms of how agencies are addressing this topic? Tom: We started this process of looking at use of force by travelling to the United Kingdom, and working and talking with Police Scotland and Northern Ireland, and a few things really jumped out at me from that trip. The first one was, we were talking to a woman in Police Scotland. She was an inspector, so in the United States, comparable to a captain — a higher mid-level manager, almost an executive staff in some agencies. We were at their Training Academy for Police Scotland, talking. So as we were talking, I told this inspector about in the United States, and one of the things that we do in our academy is we tell our cops that their number one job is to go home alive tonight, and we’ve done that for years. And that sort of rolls into another area which when we created… some principles that could help guide us on use of force. And that number one principle was the sanctity of life, the importance of life. So, if you think about it, that importance of life goes hand and glove with exactly what that inspector said, which was everyone goes home alive. In law enforcement, we have to do everything we can to make sure we’re not just looking out for ourselves, but are looking out for everyone. We always think about making the public safe, making the victims safe. But do we always put that emphasis on even that individual that we’re dealing with? Maybe they’re in crisis. Maybe they’ve committed a crime. In the back of their mind, maybe there’s a reason behind this and they felt the need to do this. That person is still a human being. That person is still someone’s family member. I think we can look at it differently, and recognize that we can take those efforts to make sure we realize everyone’s life is important. One of the other things I learned while I was with Police Scotland was their action between a very intoxicated young man and a veteran officer. The police in Scotland provide that protection at the facilities and security at the games, just like we do here in the United States. This young man was intoxicated and he was trying to get into a football game. I watched this individual do what we’ve seen in the United States over and over again: break out the cell phone, put it in the officer’s face and kind of yell at them for a little bit. He let that young man vent for a few minutes and once that young man kind of took a breath, the officer looked at him and said, “Listen, are you done yelling at me? Because you still can’t come in.” And that young man, he almost looked puzzled and he said, “Yeah, I’m done,” and he let that officer walk him out of there. That concept of “let’s not take this personally…” Sometimes as cops, that adrenaline kicks in, somebody’s yelling at you, and sometimes we take that stuff personally. We have to somehow figure out a better way to remove ourselves from that negativity. and sometimes we take that stuff personally. We have to somehow figure out a better way to remove ourselves from that negativity. JCH: How does a police officer not take it personally? How do you coach somebody to be able to divest themselves and not take it personally when the public gets in their face like that? Tom: I think a lot of it comes down to training and having officers understand what their responsibility and what their role is. And then, we need to practice it. We need to put them in scenarios in training. We have to role play this. We have to have them faced with stress. And police trainers are very good at creating a stress in a protective environment, meaning in the training environment, but still put that stress in the officer so that they understand what it’s going to feel like when they’re working in the street. At the same time, we need to make sure that as these officers are going through the field training process, that they have the right field training officers who can demonstrate this. Because if you think about it, when the fire department shows up, everyone loves to see the fire department because they’re always there to save the day. But unfortunately, in policing, they call us because something’s wrong. So we go into that environment, and that environment is often very stressful, next thing you know, the police can become the target of that stress and that anxiety. Or, sometimes we have to make a lawful arrest. Somebody doesn’t want that to happen. We’re taking away their freedom. They’re not a very happy person about this. So, we have to deal with that stress. And if officers do not have the opportunity to practice these skills, if they’re not provided tools on how to diffuse, if they’re not educated on how their body’s going to react, they’re going to feel this stress. And if you allow this stress to take over, then they’re not going to be prepared. So, I think it’s a necessity in the training environment that we cops experience these things, and that we give the trainees the opportunity to learn. Do it in a safe environment. Put them in winnable situations and then as they become more proficient in their patrol duties, and their everyday duties in law enforcement they would just get better and better at these skills. wait for your back up, use your distance. JCH: Excellent. 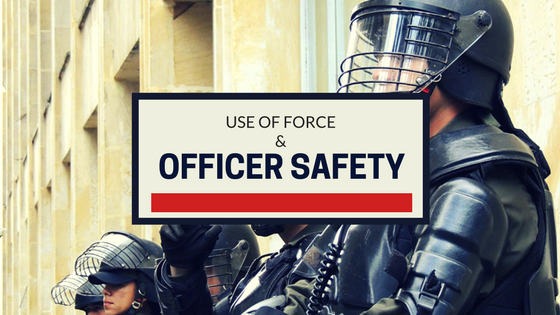 Some might say that part of the use of force, to your point, is about finding ways for officers and the public to stay safe before force is ever needed. Thinking about what you were just saying, what are some options officers might have at their disposal to diffuse the situation or to de-escalate the situation that they might not necessarily think of while they are in the heat of the moment? Tom: In policing, we have had what we commonly call “a culture of speed.” We have to break that down a bit. If you think back to some of the ways that we have trained in policing, everything is go, go, go. Even training officers are often guilty it: “What are you going to do? What’s your answer going to be? Get in there and save that person.” So, we have created this culture in policing we often hurry into situations. So, one of the biggest takeaways for cops to think about today, especially when they’re in that moment, is to step back and slow down, and think about all of the information that they have. Essentially, take what Palm Beach County Sheriff’s Office calls a ‘tactical pause.’ Step back, re-assess, look at your environment again, wait for your back up, use your distance. How many times as police officers do we walk right up to someone and we get in a matter of a few feet and initiate some dialogue? Do we have to do that? Can I stand a little further back? Can I initiate that conversation from a greater distance? That way if something changes, if the threat begins to change, I now have a little bit more time to react? I can maybe move to cover or back up a little bit. When we worked with New York City Police Department’s Emergency Services, probably the largest SWAT-type group in the United States, these guys taught us the word ‘tactical mambo.’ And what they meant by that is they will step forward, they will move back with the individual they’re dealing with. If they’ve got someone that’s walking toward them, maybe they’re armed with a baseball bat or a knife, the officers will back up. If the individual starts to walk in another direction they will take a couple of steps forward. I think we need to have our everyday cop or deputy on the street start thinking about their positioning, or their tactics going into a situation. Think about your distance, think about the cover that you have available. In other words, don’t put yourself in a place that’s wide open, make sure you have a place to go, that way if something changes, you can buy more time, you can start some communications. You can do something besides being forced into an action that another officer who handled it differently may not have to do. JCH: Is there anything that you think we should have maybe covered that we didn’t? Tom: I think the only other thing that is of importance as we look at this topic of use of force is officer wellness. This is about providing our cops and deputies with the tools that they can use so that the end of their career, they put their head on that pillow at night, and they can sleep comfortably knowing that they did everything they could. They had all the training and all of the tools on their tool belt to help them handle a situation to the best of their ability. And that’s about keeping our cops safe, and it’s about helping them with some mental health awareness because it is a tough job. Some of these situations create enormous amounts of stress for our cops, so again, it’s about making sure we approach these situations differently, keeping our cops safe, keeping our cops out of unnecessary trouble, and again, at the end of their career, they can put their head on that pillow and sleep very well at night.